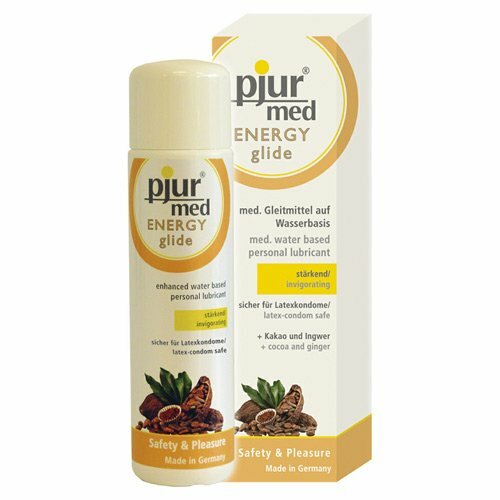 Pjur Energy glide is a water based lubricant including natural ingredients derived from cocoa, cardamom, ginger, and white pepper. Therobromine from cocoa provides a pleasant stimulation. Cardamom, ginger and white pepper contains antioxidative secondary plant compounds stimulating the warmth receptors of the skin and increasing circulation. It's excellent compatibility with skin and mucous membranes is dermatologically tested. Confirmed suitable with latex condoms.